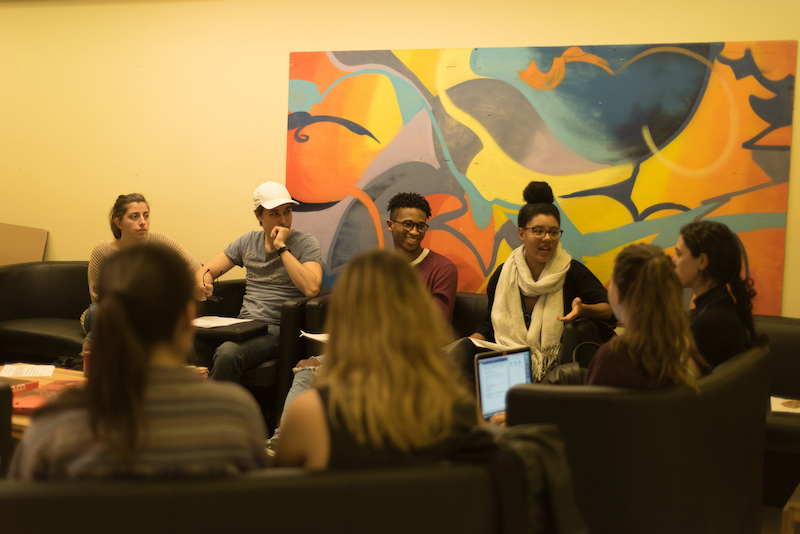 The student-led task force discussed the creation of an advocacy coordinator position, the composition of this position’s hiring committee, and how to ensure equal representation of different ethnicities in both the hiring committee and the task force during its third meeting on Nov. 2. The meeting took place in the School for Community and Public Affairs building on Mackay Street at Concordia’s downtown campus. The three task-force meetings thus far come as a response to a request made by the Centre for Research-Action on Race Relations (CRARR) for Arts and Science Federation of Associations (ASFA) to revise the task force’s mandate. ASFA was required to create a task force as part of the settlement that was reached following the lawsuit against ASFA made by CRARR on behalf of Mei Ling*. Mei Ling was a former ASFA executive who experienced sexual harassment, discrimination and racism from two other ASFA executives. In a press release published by CRARR on Oct. 3, they requested a revision of the mandate due to the fact that the previous one, while efficiently tackling sexism and sexual violence, did not focus enough on representation of racial minorities. The new mandate, which was ratified by the ASFA council on Oct. 13, was distributed at the meeting. It listed actions that will be taken by the task force to ensure cases of racism, sexism and sexual violence are dealt with swiftly. These actions include obligatory consent and power dynamic workshops for ASFA executives and others, collaboration with students of different backgrounds to create and implement necessary services, and working with Concordia University to ensure that these services are accessible to all. Paris said many of her friends still go to Concordia and so, “as a support system for them, it’s important for me to be there if I have time.” She said people of colour need more visibility in the university and they should have designated safe spaces. While the task force is not part of ASFA, Agunik Mamikonyan, the community outreach and sustainability coordinator for ASFA, leads the discussions during the meetings. Mamikonyan said she decided to take on the task“because she felt she had the time and passion for it. The meeting concluded with the objective of finding students to sit on the hiring committee. A date for a future meeting has not yet been released. *Mei Ling is a pseudonym used to protect the identity of the subject involved.